It's Family Photo Season!!! 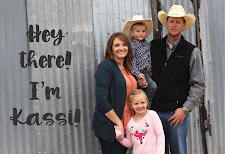 Time to book your family photo session with Kassi Mortensen Photography. I am currently booking sessions in Safford, AZ, Thatcher, AZ, Duncan, AZ, Morenci, AZ, Pima, AZ, Luna, NM and Reserve, NM. If you have another location in mind please let me know and we can talk about making that happen. Travel to other areas can be arranged for an additional fee upon request.